The rate of domestic violence is getting higher everyday. In China alone, there is a 64% report on domestic violence. 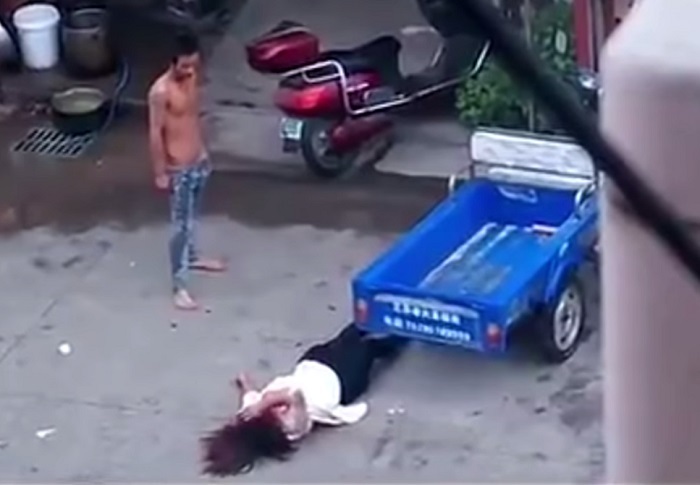 East Shanghai, China – An abusive husband was caught beating up his wife by a neighbor on top of a building. Somehow, instead of reporting to the police, the neighbor just opted to record the scene and upload the video in social media. The viral video shows the woman, getting heavy punches and kicks until she falls to the ground. But as the saying goes, what comes around, goes around and this wife beater caught on tape indeed got a dose of his own medicine. His neighbors beat him up after he antagonized them as well. Domestic abuse may cause physical and mental harm on victims. And for all those abusive husbands out there, may this video serve as a deterrent to you.